If the person is not a sailor, how will they really understand the grass roots sailors and their needs and desires? How would they apply a plan? Similarly, running a sporting body would be fairly specialised. There's a fair bit of information in academic studies about sports participation, for example, that anyone involved in strategy should surely know about. Not saying there aren't good people in the organisation just that the the 'ivory towers' are so far removed that it all seems to get lost in translation. 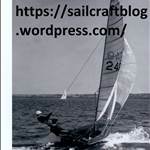 If the person is not a sailor, how will they really understand the grass roots sailors and their needs and desires? Well, that's sounds good, until you consider that by that logic they also need to be a cruiser, a powerboater, a potterer in canals, and all the other things the RYA represents. I was once at the RYA and happened to pick up an internal phone directory, and it was instructive how varied the work of the RYAs staff is. There really aren't that many, outside the ring fenced externally funded Olympic/squad staff, who are involved with dinghy racing for instance. As a long time dinghy sailor, I have cruised the waterways, driven powerboats, sailed/raced windsurfers, paddled kayaks, owned and sailed a small keelboat and sailed and raced dinghies. All at the 'grass roots' of the sport. I'm sure that kind experience would be useful (personally I would say that some experience in, at least, a couple of areas would be essential) to someone attempting to plan 'strategy' for the development of the sport. If you have no experience of the 'grass roots' of a sport how can you possible build a meaningful 'strategy' for developing that sport? IMO the problem the RYA has is that it is a very beurocratic organisation and some of its operatives are quite (inadvertently) institutionalised. I think the problems begin when you start applying business practices to organisations like the RYA. The 'make a profit for the shareholders' mindset goes contrary to the aims of such an organisation (and, as an unattractive side effect, you often also get a 'win at all costs' culture developing). People running a, predominantly amateur, sport like sailing need to have an emotional investment in the sport itself, numbers on a spreadsheet just don't hack it. Putting a non Sailor in charge of World Sailing has worked out brilliantly. Maybe he would have understood more about the Olympic slate. Is owning the plan the same as creating it? Who/which committee actually decides on RYA strategy? I looked at that job spec and thought, well I could do that, then I remembered the 'committee' nature anything to do with the RYA was like and I doubt it's changed much. It would be like wading through treacle trying to get anything like a sensible strategy approved and I think so much has happened to corporatise the place, so many paid jobsworths rather than the unpaid volunteers that used to hold sway. It's beyond the help of any one individual however talented or visionary. The RYA is f**ked, proper f**ked to use the vernacula and that job would be mission impossible in todays climate.